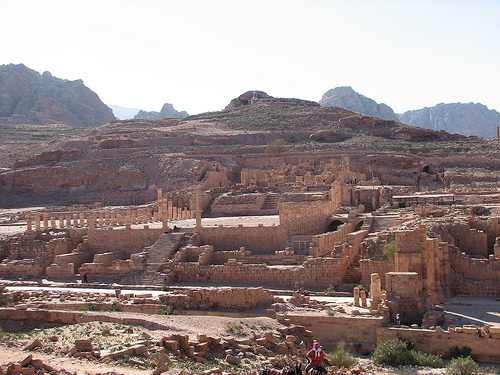 Whilst the ancient city of Petra is not one of the original 7 wonders of the world, it was included in the illustrious list of the New 7Wonders of the World and for good reason. This ancient city is one of the most spectacular places I have ever seen. My time in Jordan was only brief, less than 36 hours, but I managed to still spend a full 12 hours exploring Petra. 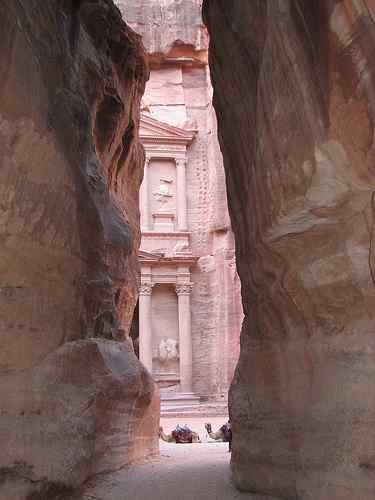 The city of Petra was built in the 1st Century BC, carved out of rock by the Nabataeans, this region is now on the UNESCO World Heritage list. Entering the complex at dawn, the dusty path didn’t really provide any indication of what was just around the corner. Behind the large stone boulders was hidden Khazne or The Treasury. This magnificent building is named such because it was believed to have been where the Pharaoh stored his wealth, whilst others believe it was a tomb. What is incredible is both how fine the carvings are and how well-preserved the exterior of the Treasury still is. From the Treasury, I walked through the city, seeing tombs that had been carved into the hills, temples that had stood the test of time and the colonnaded streets that miraculously still stood. I took my time, slowly taking in all the little nooks and crannies of this incredible place. Stopping occasionally I tried to imagine what this must have been like two millenniums ago when it was full of caravans, bustling markets and life. 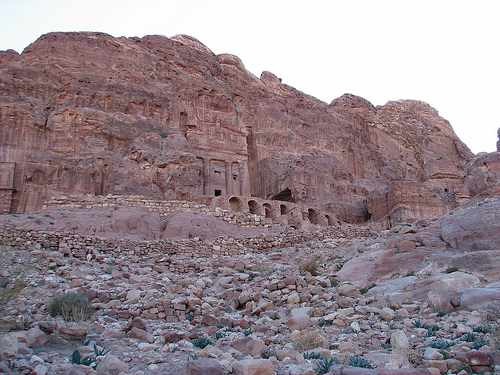 The highlight of any visit to Petra has to be climbing up to the Al Deir or The Monastery. I climbed up not less than 800 steps on a rocky hill, although many people took a donkey up the arduous path, but what was at the top was well worth the effort. The Monastery is simply incredible, I remember standing there in amazement trying to work out how it was actually carved all those centuries ago. Nearby I found one of the most breathtaking views of the monument and across the region. 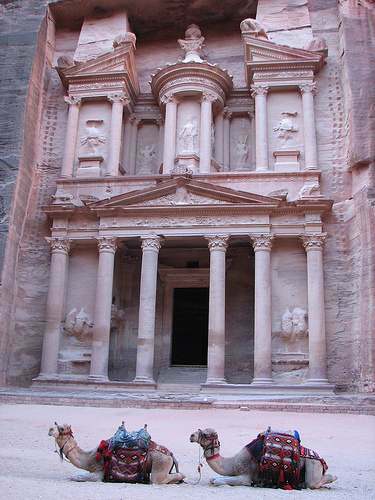 This was by far the pinnacle of my journey through Petra. 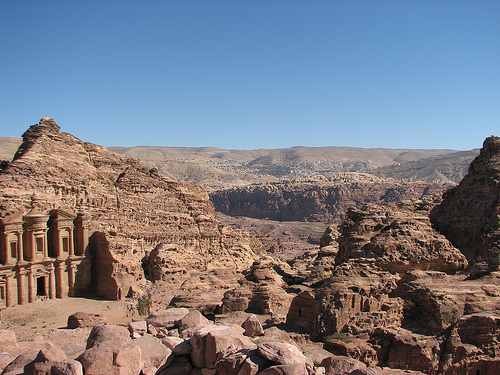 Petra left such an impression on me, that I recall encouraging my parents to visit the next year. They were choosing between Egypt and Jordan, and for me there was really no choice. Petra is incredible and something not to be missed. I have to visit this place.. It may be one of the most hyped buildings in the world, but it lives up to its publicity. Visitors still gasp the moment they first set eyes on the world’s most famous shrine to love. Thank you for the pics and descriptions………….ever thought of being a tourist guide? ?